OLD PARKED CARS. 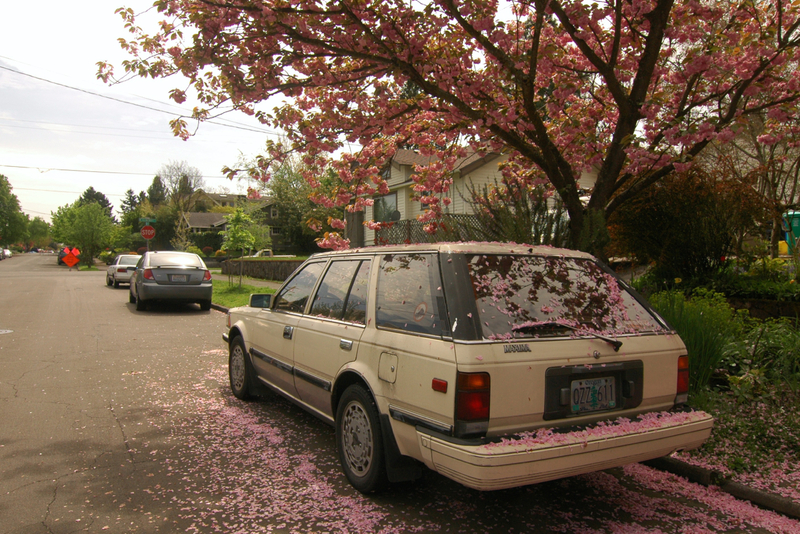 : 1986 Nissan Maxima GL Wagon. 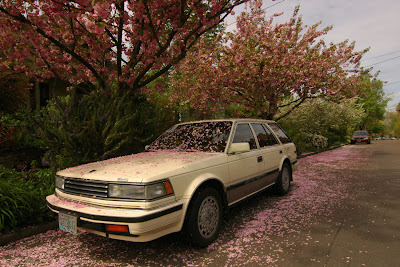 1986 Nissan Maxima GL Wagon. Takes me back to the late 90's to early 00's when I used to carpool to school in a blue wagon like this one. Even then, I loved the crisp boxy styling. I'm sure this an earlier and rarer '85-'86 model. The refreshed '87-'88 models didn't have any badges on the hood, the Nissan badge was moved on the grille. Thanks Chris, the hood emblem was the one detail I kept trying to find in my research but I had no luck. I think you're right so I'm going to call it an 86. I'd love to try one of these with a manual transmission. I can faintly make out a CHMSL so '86 would be correct. I hear these cars are such a blast, I feel like snagging up one of these, luckily SoCal is abundant with these. The styling is so 80's yet I still I think it holds up nicely today. hey, chris. help me understand in what sense these are "such a blast." i have no idea what this would drive like, but it looks like it would have more in common with a camry wagon than a civic hatchback. that commercial was pretty fun--at the end, they finish with the nissan logo, and it still has the datsun sun on the left side. unexpected! So you can unlock it just by putting in the password? What do the letters mean on the buttons like TRK? Do you create the password when you buy the vehicle new? Can you reset it later? I wasn't talking only about the wagon before, I specifically lust for a sedan exactly like the one in commercial with a manual. I haven't driven either but I can imagine the wagon being more pedestrian in the way it drives. How it's (sedan and/or wagon) a blast? I dunno, it's what I've heard and read and something I'm really eager to find out. 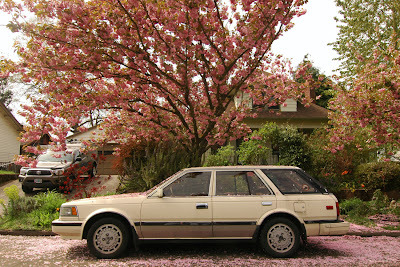 These 80's Maxima's were fun! In college(the late 80's) I worked at a Nissan/Mercedes Benz dealership in the washrack and drove lots of these. The V6 pulled hard and they were comfortable, reliable and sporty cars. Yep, they were a blast to drive! I did own a 88 Stanza and would not recommend that car at all! this car. Are you sure this wasn't Nissan's answer to the Yugo? Does anyone know the answers to my questions above? Anon: Nissan called this Touch Entry System. 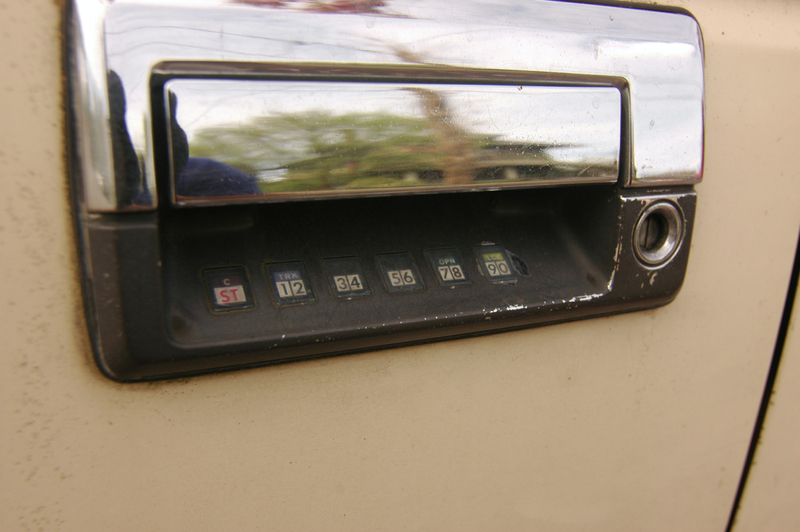 And yes, you touch ST (start), then enter your 4-digit code, and then touch LCK to lock the doors, OPN to unlock them, or TRK to open the trunk or tailgate. If you change your mind and want to walk away, you touch C (cancel). It's worth noting that there are only six buttons here. So a code of 1357 is the same as 2468. But that still gives you 100,000 possible combinations. Since Start and Cancel are the same key, so they just toggle between those functions with every touch. The TRK, OPN and LCK functions are valid when they're touched after the 4th digit. So if your code was 1234, it would be as if an extra digit would give you every function variation: 12341=trunk, 12347=open, 12349=lock. I think all the Maximas pull pretty hard. How many manual transmission 6 cylinder cars, let alone wagons can you find these days? Mostly base bustangs and supras are coming to mind. Man, that is one cool entry system. Keyless entry, hit any key!